This pattern is a simple, slouchy, oversized sweater at heart that can go from day to night whatever your style is. It is suitable for beginner sewers and designed with simple lines to make it easy for you to adjust the fit. 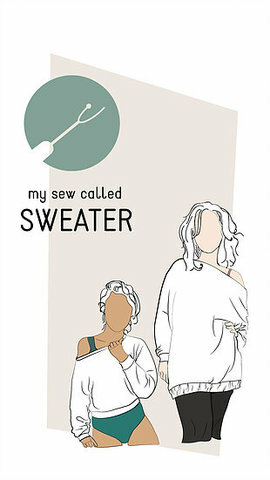 The Sew-Called Sweater is styled to be a comfortable staple for if you live to lounge but don’t let that stop you from experimenting! You can either make a cropped version of the sweater or an oversized-tunic version. If you’re interested in viewing other patterns by Pipe Dream Patterns, there are also some new coat and jacket patterns that have been released recently and you can view the full collection here. When I saw the oversized version of the sweater, I was in seventh heaven. I’m not one to follow fashion trends, but when I do find a trend I like, I incorporate it into my style library and usually rotate the pieces I like. When it was in fashion a few years ago, I loved being able to find long tunic tops that I could wear almost like a dress. I could then pair it with leggings or skinny jeans without worrying about any wardrobe malfunctions. I was immediately smitten and went straight to myfabrics.co.uk to browse for suitable fabrics. Who didn’t think shopping for a creative project was fun, they obviously haven’t been fabric/material shopping! 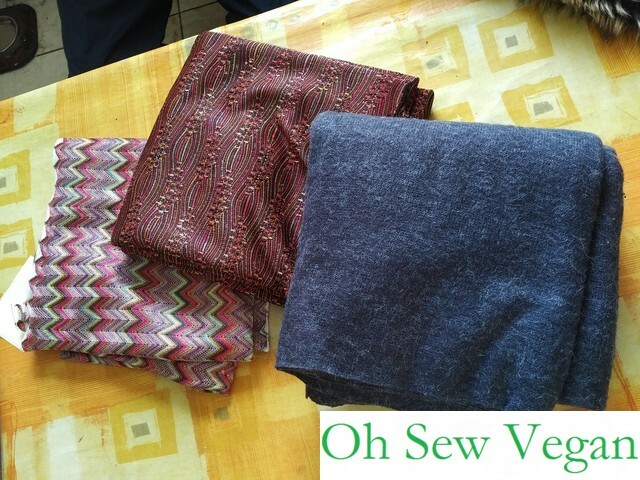 My fabric haul for the My Sew Called Sweater projects from myfabrics! 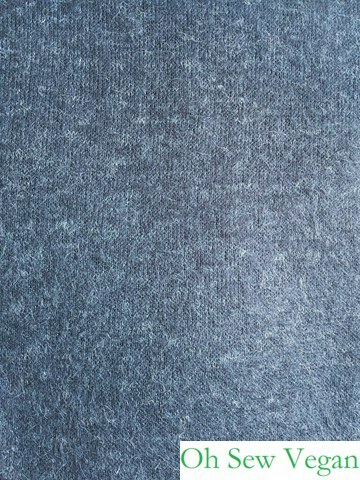 I did find a knit fabric that was recommended for making this sweater and I can see that it will be a nice and soft, cosy sweater. While I was browsing the section on knit fabrics suitable for jumpers and tops, I knew I also wanted to make some nice statement sweaters as well, and found these beautiful Missoni designs. The Missoni fabrics are indeed beautiful and I can see that they’ll make amazing statement tops, but my only concern when I was opening out the fabric was how easily they will fall apart when going under the needle on the machine. 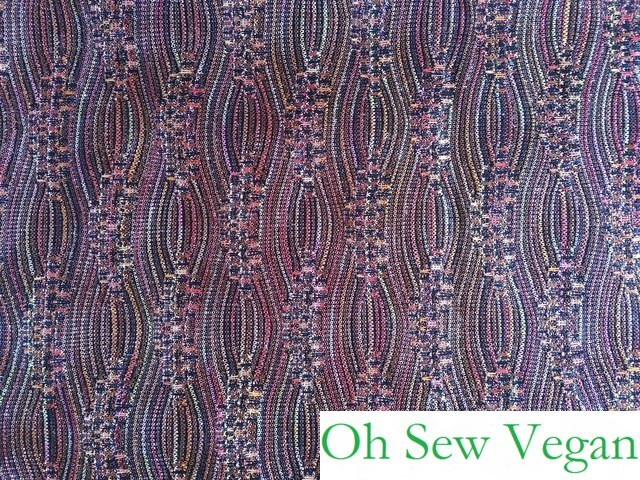 If you can imagine, the fabric are loosely knit, woven, fabric and will need some pretty hard-wearing and possibly tight stitches to keep the fabric from falling apart at the seams. 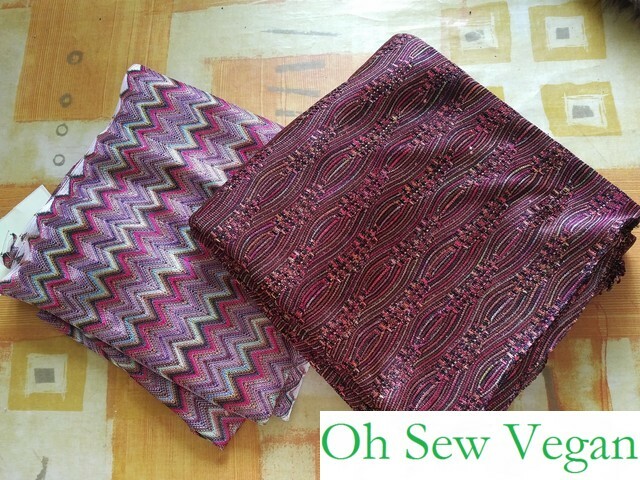 So my question to those who are quite knowledgeable with stitching this type of fabric: can you give me any tips/suggestions on how best to sew with these fabrics? Would it work if I used these fabrics as a thin see-through sweater? 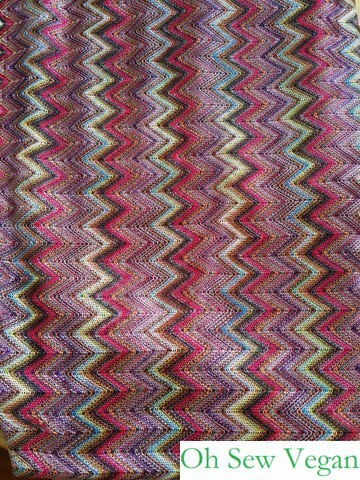 Or would I be best choosing a lightweight fabric as backing so the stitches have something to hold the knit fabric onto? I’m of the opinion that I would need to go with the latter option, but feel the sweaters would look amazing if it could be done transparent so I could wear a vest underneath to contrast and showcase the weaving of the fabric itself that Missoni is known for. So delighted to have found your blog. Thank you for sharing. 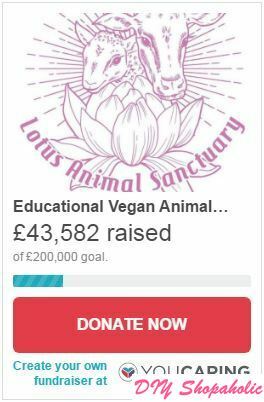 I’m vegan, love sewing and have lots of other creative hobbies I like to do and show to my young children as my parents did with me. I can’t help getting a real 80’s feel from that sweater! Love it! Thanks for sharing, Jean 🙂 I’m always happy to hear from other like-minded individuals. What other creative hobbies do you have?